Mr. Kenichiro Mogi, Akinori Kimura, Yuki Ueno and other super luxurious members hold the Hokkaido Garden Highway Forum 2012! 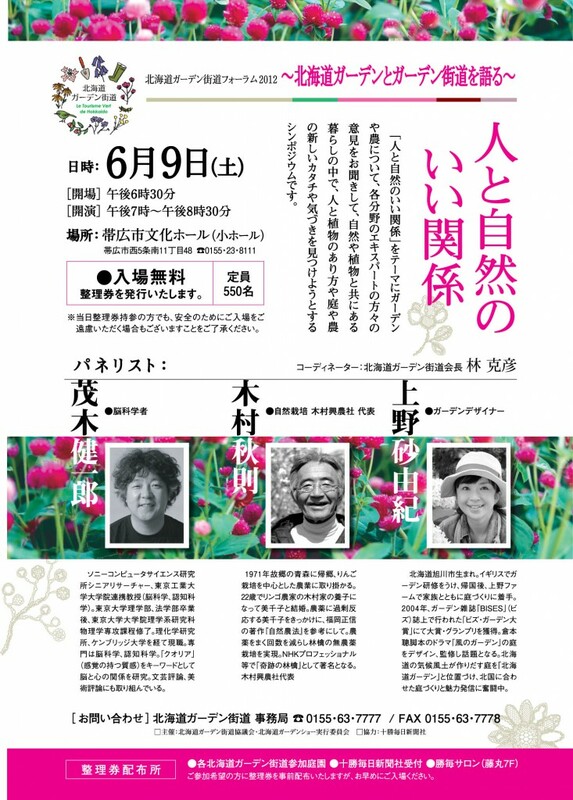 2012 June 9 (Saturday) Afternoon from 7, we will hold the Hokkaido Garden Highway Forum 2012 at Obihiro City Cultural Hall. Mr. Kenichiro Mogi familiar on television, Mr. Akinori Kimura famous for natural cultivation of apple of miracle, Yuki Ueno Ueno farm etc. We will welcome super luxurious members as panelists. Besides, admission is free. Capacity will be distributed in advance by 550 name. 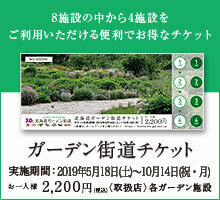 The distribution tickets are distributed from May 1st at the garden window of Hokkaido Garden Highway, Tokachi Mainichi Newspaper Reception (Obihiro City) etc. Thank you for your early acquisition as it is popular. Mailing is also available to remote areas. Please contact us by email below. In addition, we will terminate the distribution as soon as the numbered ticket disappears. Please note.